Affordable Labradoodle Puppies & Dogs. Florida's Finest 1st & 2nd Generation Labradoodles. Reds, Choc, Creams, Apricots and now Parti Colors Weonly Breed English Labs in our Doodle Program. We like the Blocky head and shorter show quality body in the English Labs. Our Poodles are also Champion Sired. Our dogs are all Dual Registered AKC and CKC. All testing done to make sure Parents are of Sound health. Vet comes to our home to take care of our dogs weekly. Breeders of the highest quality Australian and American Labradoodle and Goldendoodle puppies. We have standard, medium and miniature sizes in all colors. All dogs are fully health tested, and puppies come with a two year health guarantee. Breeders of Australian multi generation Labradoodles and F1B Labradoodles. We are also proud and excited to announce our North American Retrievers. They are a selectively bred mix between a Labradoodle and a Goldendoodle. Our Doods are our loved pets. The puppies are born and raised in our home and receive plenty of love and attention from us and our children. We have puppies available. Puppies for sale in cleveland TN CKC Registered Black Labradoodle puppies Males $400.00 Females $600.00 wormed 2 dew claws removed adorable hypoallergenic puppies raised underfoot in our home with out children. Mom is a black standard poodle and dad is a chocolate labrador. Great family pets or service dogs. Must see to appreciate how cute they are. We are a small breeder in Western Washington. We hand raise all of our puppies, and give them constant loving care until they go to their forever homes. We health test all of our dogs, and pick them based on beauty and temperament. We have lovely puppies available now. Great Lakes Labradoodles has multi-gen Labradoodles puppies available NOW! Puppies are from two recent litters of lovely creams and gorgeous chocolates! These are super sweet standard size pups ready for their new homes November time frame. We pride ourselves on our contract and our customer service! Hurry and get in touch so you can pick your Doodle! 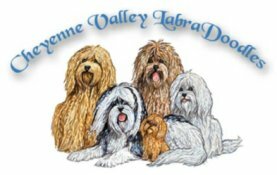 We are a small breeder of the Multi-Generational Australian Labradoodles located in the southern countryside of York County, in Windsor, Pennsylvania. Our litters are raised in our home in a family atmosphere. Utmost care and attention are given to their health and happiness and above all, we are concerned with placing puppies in good homes with responsible families. This site was inspired by Dyson the Labradoodle. When I went looking to buy a puppy I found Dyson's site. It was very helpful to see Dyson's pictures from puppyhood and to adulthood. So, I have done just that with my dogs and many others. This is a very interactive site where other doodle owners can chat in the chat room or the forum and discuss their doodles and where future doodle owners can get some helpful info. Enjoy the site. 317 AMERICAN LABRADOODLES is proud to announce our newest litters of adorable multi generational LABRADOODLES!!! We will have both mini's and standards available this spring. We raise our pups in our home with a gentle combination of love and training. Your puppy will arrive to you crate trained and will sit/stay. (puppy version!) Our puppies have vet certifications and a FIVE generation pedigree. We breed first for temperament and specialize in cream and RED colorings. Please e mail for an application, or call 1-877-DOODLEZ!!! Puppies for sale in Austin TX Cute and cuddly labradoodle puppies raised in our home. Lovable, intelligent, the perfect pet. Ours come well socialized and de-sexed. Complete with micro-chip and DNA profile. Litter of 5 female and 4 male born January 20, 2005. Puppies for sale in San Diego CA We are located in Central California. Due to our small size this enables us to give our dogs and pups lots of love and individual attention. We give mom and pups the special care and attention that they need. We feel this makes Our pups very Loyal, Social , and Affectionate, "Family Dogs". We have multi gen Puppies available. UK breeder of Australian Labradoodles. ILA member breeder. Standard and medium sizes in chocolate, black and Cream/Apricot/Red. Parents are health tested, and pups are vet checked, vaccinated, microchipped, tattoed. We are happy to export. We also breed F1 and F1B. Sunset Hills is a breeder of top quality, multi-gen, Australian Labradoodles. Breeding Stock is Health Tested, DNA Profiled and Registered with the LAA. Puppies are sent worldwide with international sales both as Companion Pets and Breeding Prospects. We have an excellent reputation for our quality and service and all puppies are given written guarantee. LAA Accredited Breeder. F1 and F1B Labradoodle pups. Beautiful F1 in apricot/red and F1B in various unusual colors - Red, Apricot, Phantom, Parti and Tuxedo. F1B are known to be low/non shed and allergy friendly. Doodle Downs has various sizes and we offer a 2 year health guarantee. Please visit our webpage for more information and pictures!